Genetics today is inexorably focused on DNA. The theme of Introduction to Genetics: A Molecular Approach is therefore the progression from molecules (DNA and genes) to processes (gene expression and DNA replication) to systems (cells, organisms and populations). This progression reflects both the basic logic of life and the way in which modern biological research is structured. The molecular approach is particularly suitable for the large number of students for whom genetics is a part of a broader program in biology, biochemistry, the biomedical sciences, and biotechnology. Introduction to Genetics presents the basic facts and concepts with enough depth of knowledge to stimulate students to move on to more advanced aspects of the subject. The book is divided into three parts. Part 1 examines the function of the gene as a unit of biological information. Part 2 studies the role of the gene as a unit of inheritance. And Part 3 explores some of the areas of research that are responsible for the high profile that genetics has in our modern world, from agriculture and industry to medicine and forensics, and the ethical challenges that genetic knowledge imparts. 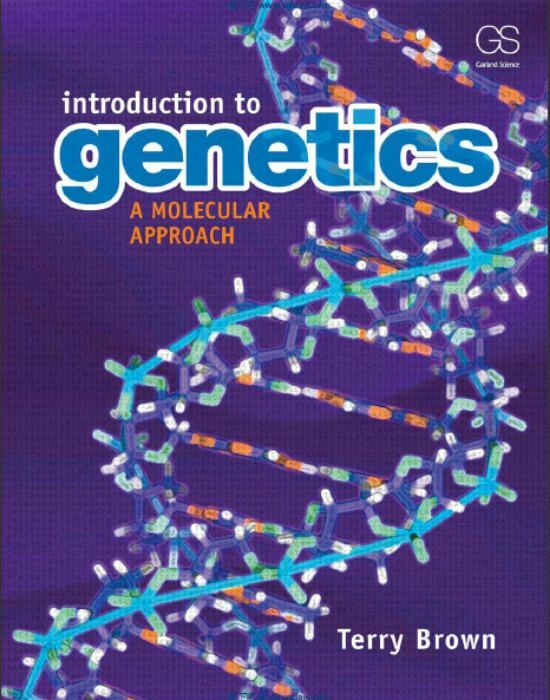 Introduction to Genetics is available for purchase as an e-book in its entirety or as individual chapters, and as a 1-year or 6-month rental. GMT+8, 2019-4-23 04:40 , Processed in 0.346450 second(s), 66 queries .